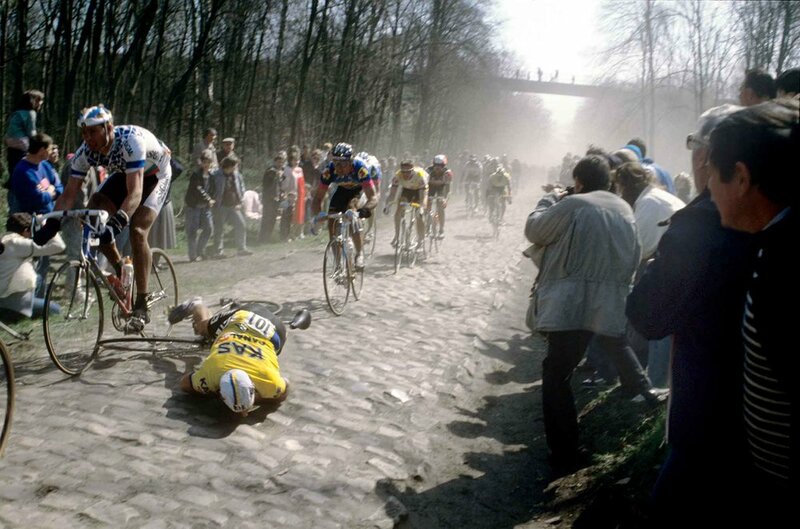 8 April is dubbed a 'Sunday in Hell' or Paris-Roubaix. The one-day professional road race in northern France, starting north of Paris and finishing in Roubaix, at the border with Belgium. It is one of cycling's oldest races, and is one of the 'Monuments' or classics of the European cycling calendar. Points, for the professionals count towards the UCI World Ranking. Pairs Roubaix is the perfect balance of power and skill like no other in professional cycling. The famous cobblestone route or pavé are on another level of difficulty to those found in some of the other classics, such as Ronde van Vlaanderen. In places the route is very unevenly paved, and takes real skill, power to negotiate. In total there are 29 sectors of pavé, amounting to 54.5km. To make the race even harder the early April weather can be rather unfavourable for the riders, but provides a spectacle for those watching on from the sideline, or comfort of the armchair. Cyclists sliding on cobbles and returning mud-caked have gone down in folklore and helped earn the race its nickname of ‘Hell of the North’. There are a number of cobblestone sections. First is the 94km Arenberg Forest, a stretch of road overhanging trees making it quite dark and difficult to negotiate. This is often where the race sorts out the break away. At 47km to go is the Mons-en-Pevele a chance for the top riders to put in their race-winning attack. But more often than not it’s the Carrefour de l’Arbre at 15km to go that has the final say. When finally arriving in Roubaix, the riders arrive in the velodrome to complete one and a half laps of the track, encouraged on by a stadium full of supporters.